Looking for dependable appliance and refrigerator repair in Chennai? Mr Services is a ONE-STOP Multi-Brand Home Appliance Service Point at your door step of Washing Machines, Refrigerators, Micro Wave Ovens, Home Theatre Systems(Audio) and Mosquito Net Fabricators of all Domestic and International Brand Home Appliances. 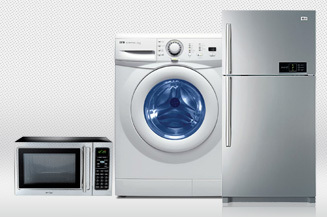 Any Brand, Any Appliance, Anywhere Service waits for your Home Appliances Repairing needs. We service and repair New, closed-out Models of all home appliances & major brands. Your at Home Expert Service Technician for all your Home Appliance's Servicing and Repairing Needs is just a phone call away. Mr Service's reputation for service excellence, skill, care and reliability is based on multiple years of experience, expertise and uncompromising professional standards.